Jonathan Woolston is based in Cambridge UK. He has spent almost 30 years making and restoring violins violas and cellos, and first established his own business in 1991. Today, this business is housed in the heart of Cambridge’s diverse and cosmopolitan Mill Road. 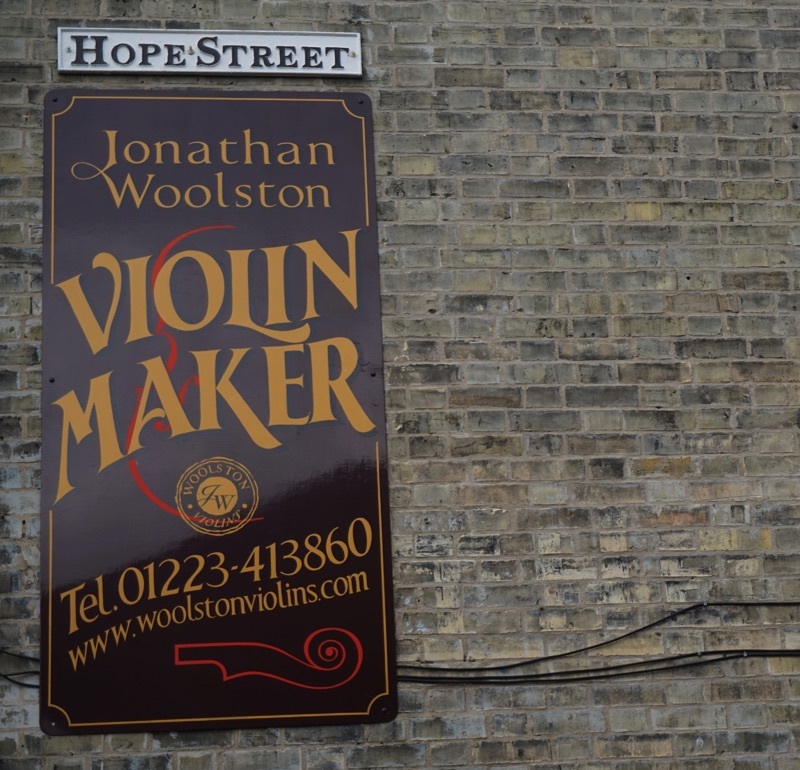 Jonathan Woolston is a Cambridge violin maker. He has over 30 years experience and has worked in restoration workshop in the Royal Academy of Music. He was originally trained as a guitar maker at Fylde Guitars and is a graduate of Newark School of Violin making and repair. Jonathan has worked in many of the most esteemed violin houses in the world including that of Jacques Francais Rare Violins Inc with Rene Morel, New York and George Heinl and Company in Toronto, Canada. Jonathan now works making tailor made violins violas and cellos, and providing restoration services for musicians from his workshop in Cambridge. Jonathan also has made numerous instruments for international clients and has taught on violin making courses in Vancouver, Toronto as well as in the UK.